Last year, a handful of images of little girls and boys posed like Black icons went viral. 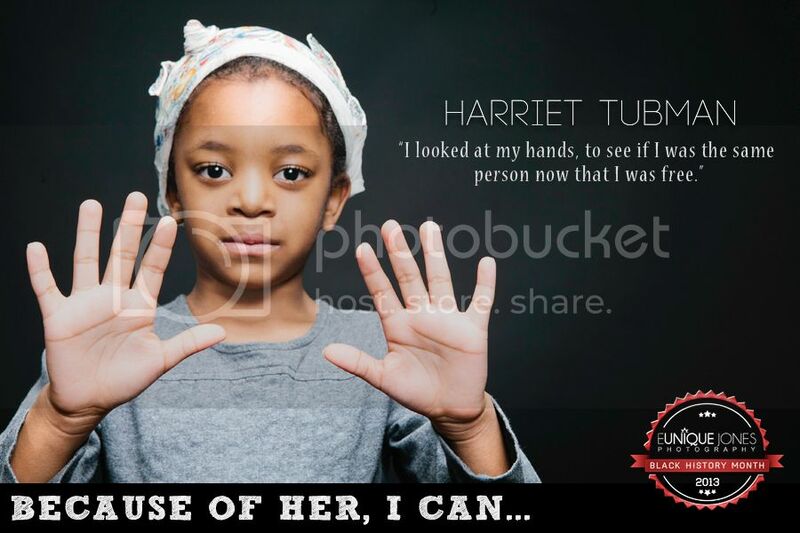 The "Because of Them We Can" series created by photographer Eunique Jones struck a nerve with those who recognize the importance of teaching the babies about our magnificent past. Now we won't have to log on to see the latest visual installments. Jones put together 365 pages of awe-inspiring images to create a coffee table book. The photographer posted this video to her website in which she explains the importance of the project. It’s bigger than just taking pictures of cute kids and making them look like celebrities or making them look like politicians or engineers. It’s bigger than that. It’s about the message. Right? It’s about empowering these kids and injecting this new wave of self esteem and self worth by understanding what’s already been doing, what’s being done and what can be done and how they can play a role in shaping or reshaping the future. She says the project was inspired by her two sons. I started to think about how much potential they have and how much that they can do and how much they can accomplish as a result of the accomplishments of our ancestors and the accomplishments of people who are currently blazing trails and those who will blaze trails in the future. According to the site, the books will be shipped this month. This is an absolute must have. Purchase your copy for $65 here.